With the development of an economy, our standard of living is also improving, from the age of fluorescent lamp tube to the era of a led tube. 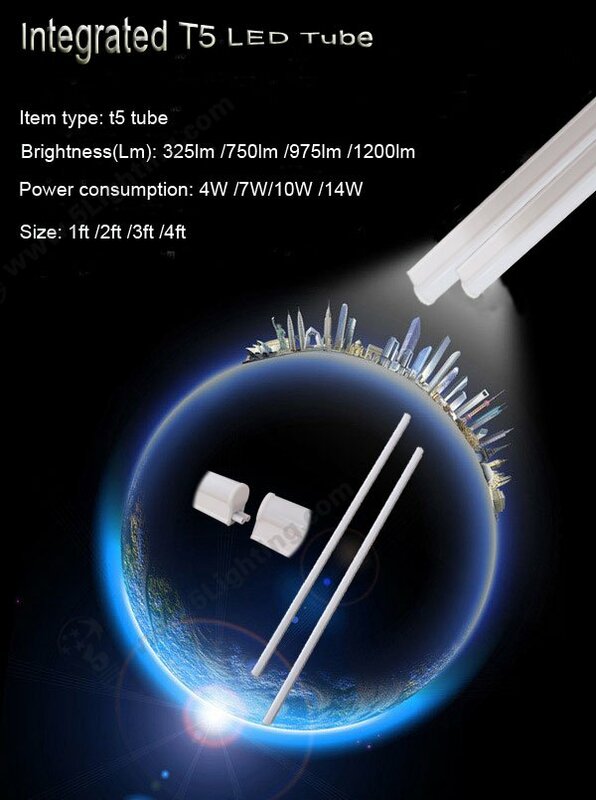 Today I want to introduce you to our unique integrated T5 led tube. a) Units can be linked together. b) Has waterproof function, suitable for the moist area. c) Emits the brightest light with the lowest cost. d) Compatible with a voltage of 100-277 v.
e) Has no dark spots, all-around light, long life. Integrated t5 led tube can use in the Living room, Office, Meeting room, Restaurant, Hospital, School, Dormitory, Shopping mall, Supermarket etc.